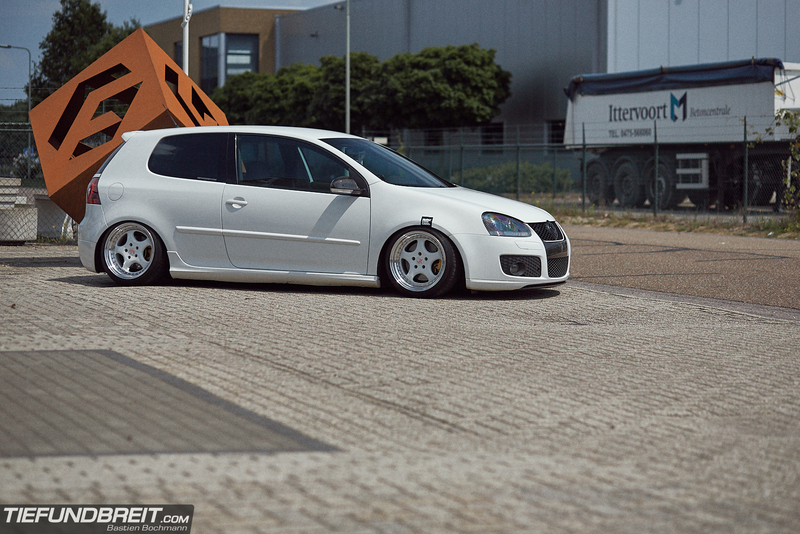 Six years ago, one of our first features was of a Mk4 Golf owned by Michael Spies. 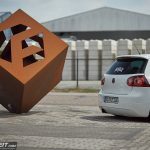 Now, more than half a decade later, Michael is back on these pages – this time with a Mk5 Golf GTI, though. 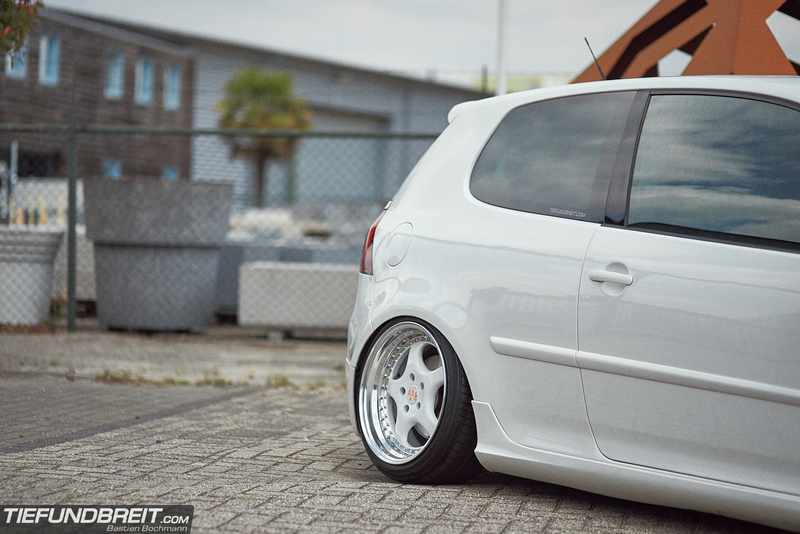 Just a few months after we featured his previous car, he sold it on and replaced it with this white Mk5 GTI. 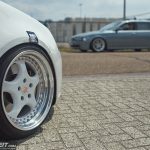 The car got dropped using a set of H&R coilovers and Michael used to roll around on a set of 9.5×18 3SDM 0.05 for the next four years. 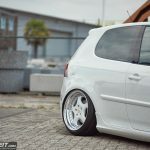 It was time to change things up, however and so he sold the 3SDMs and went on the look for some 17 inch split wheels – I have to say, I might be at fault for this. 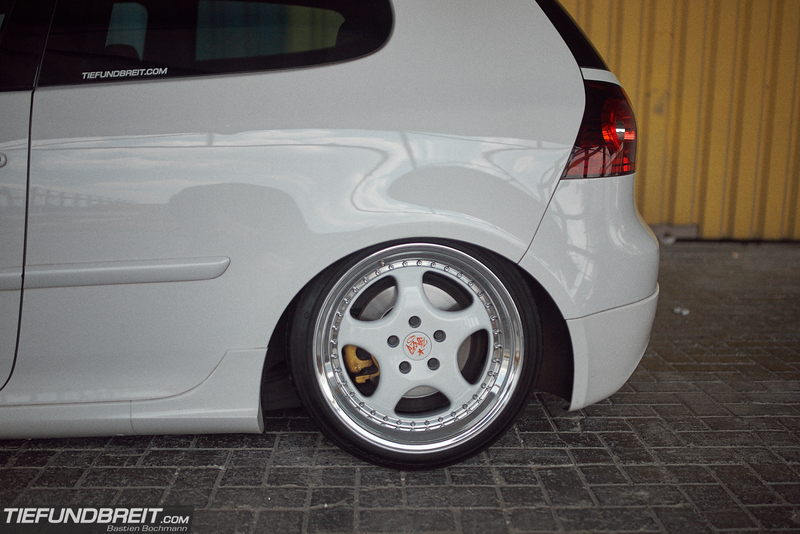 When I built the ZW1s that were later on Andy’s E39, we testfitted them on Michael’s Golf and it looked amazing. 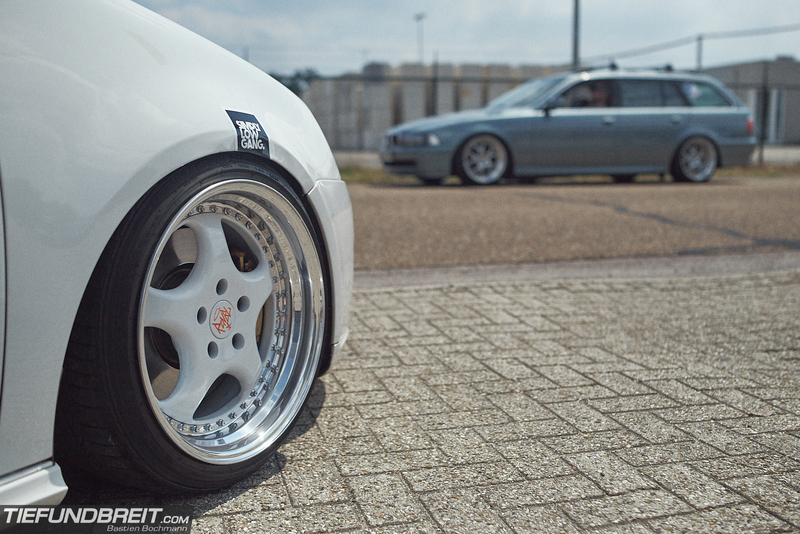 Michael finally aquired his own set of ZW1s and built them out to 9.5×17 on all 4 corners, wrapped in 215/40/17 tires. The lips were polished and the centers got a fresh coat of paint in body color. They fit like a glove into the Golf’s wheel wells and, well, baby got back as they said in the 80ies! One other thing about the rear end is Michael’s custom built exhaust, making the GTI scream at the world. Over the last few years, Michael’s always been changing some small things up, but foremost the car served as his daily driver. He’s currently wrenching on two other projects as well – a Mk2 Golf and a vintage aircooled Bug! I’m certainly excited to see what he’s doing with them. For now, enjoy the rest of the pics below!